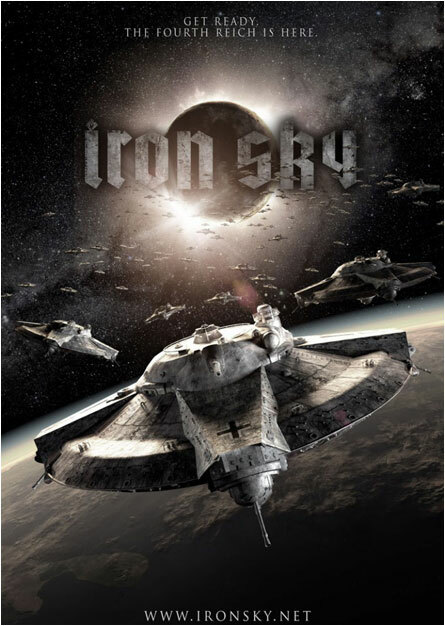 Did you see Iron Sky, the 2012 independently made Nazi UFO movie? Of course you did, how silly of me. The production values were some of the best ever seen for an indie funded movie. And while the storyline of a Nazi stronghold on the moon plotting a comeback tour after being served by our troops back in 1945 was a deliciously nice take, the main characters were a disappointing and annoying distraction. 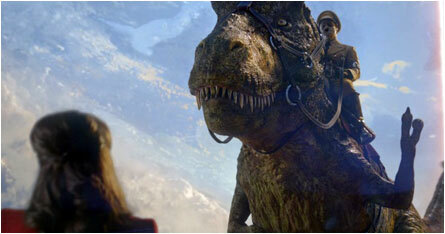 With the hopeful release of Iron Sky: The Coming Race, the filmmakers have a chance to fine-tune their game. I say hopeful as the movie is being crowd-funded on IndieGoGo™ [click here]. As of this writing they have only rounded up $91,000 of their intended $500,000 goal and 40 days left to make dinosaurs happen. Being a patron of the arts, I pledged a generous $18.00 to the cause. And what a cause it is: the extremely well-produced trailer exhibits the uncommonly high-production values first depicted in Iron Sky and shows a woman, who is in reality a shapeshifting reptilian in the Antarctic (or someplace frozen and snowy) taking an elevator down to the center of the Earth, which is hollow like a malt ball and a paradise of sorts. It’s there she greets Hitler riding a T-rex dinosaur. I might have to go back and pledge another $18.00 as this looks cooler than the snow up top. I declare all of that to be awesome. 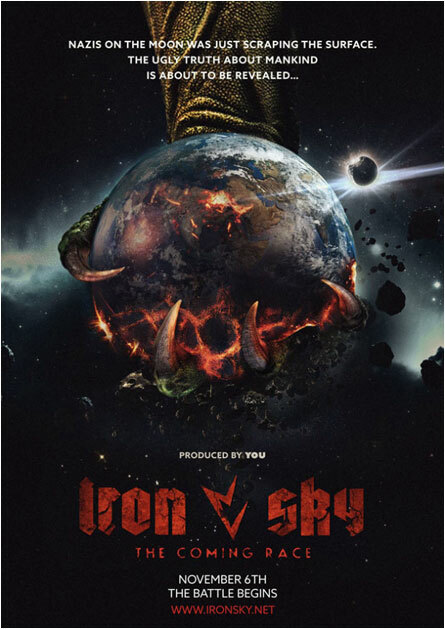 And in case you want to get up to speed on Iron Sky, the movie is on Netflix™ and I blogged all over myself about it twice here, once in July of 2010 [click here] and again on February 10, 2012 [click here]. P.S. No I am not cheap. $18.00 is all I could afford after spending $1,200.00 on new hair product. Hey, a sci-fi fan fan has to look his best. P.P.S. 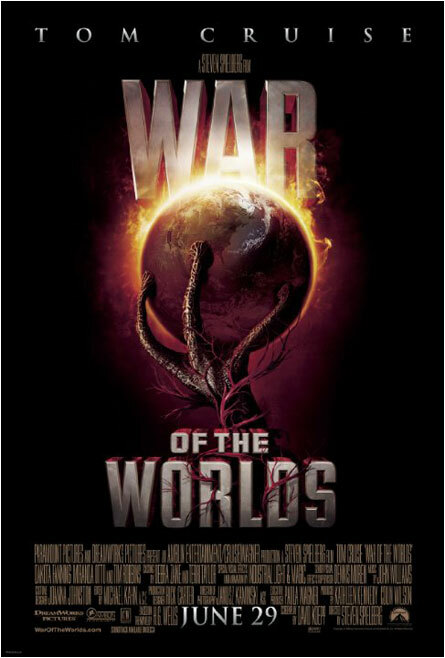 The ad poster for Iron Sky: The Coming Race liberally borrows its look from 2005’s War of the Worlds remake. Don’t let that keep you from giving generously in their time of need. This entry was posted on November 11, 2014 at 6:17 pm and is filed under Aliens, Fantasy, Nature Gone Wild, Science Fiction, UFOs with tags Aliens, Antarctic, creation of mankind, dinosaurs, Fantasy, hollow Earth, humanity, Iron Sky, Iron Sky: The Coming Race, malt ball, Nature Gone Wild, Nazi Moonbase, Netflix, nuclear war, Science Fiction, shapeshifting reptilian, T-rex, UFOs, Vril, War of the Worlds. You can follow any responses to this entry through the RSS 2.0 feed. You can skip to the end and leave a response. Pinging is currently not allowed.